Be sure to check out Day 1 to start from the beginning of the story. 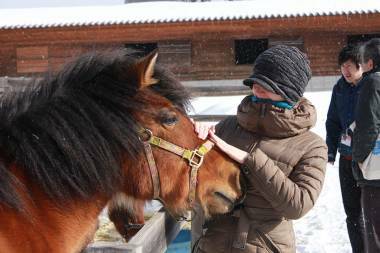 [Special Promotion] It is 11 degrees below zero and snowing, but the Kiso horses do not seem to notice. Outdoors, in groups of five or six, they munch on their breakfast, their long hair blowing, their short, stout bodies bracing against the wind. Their trainers call the shower “diamond dust” as the sight is as beautiful as it is icy. One of only eight breeds of horses indigenous to Japan, these Kiso horses were bred for the harsh winter weather of Kaida Kogen, in Nagano Prefecture’s Kiso Valley. In warmer months, visitors flock to see the horses and experience rides on either horseback or a pulled carriage, all with a spectacular view of Japan’s second-highest single peak. Mount Ontake has been revered as a sacred mountain from ancient times and, even today, attracts believers to its lower and upper slopes. 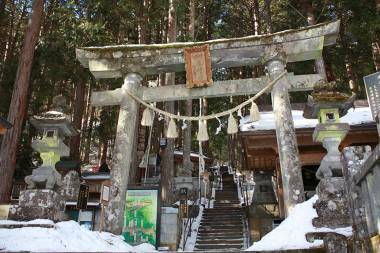 After passing through a pristine forest, we reach a small shrine and, directly ahead, a waterfall. It is common, we are told, for believers to don white cotton kimono and pray under the water, even in winter. Many people also gather to soak up the negative ions released when the water hits the rock, which is said to boost health. Our day of wellbeing was complete with a visit to Kozen-ji. 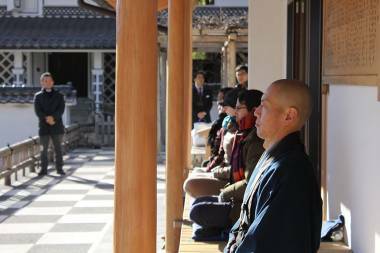 After a demonstration on how to practice zazen meditation from one of the temple’s Zen Buddhist monks, we are given time to try it. In a serene atmosphere, overlooking a large dry rock garden with swirling sand patterns, it was not long before we were suitably relaxed to try the next task: creating a personal mini version of the garden. We also visited the Sekisho Border Control Gate, one of only two main points where travelers on the Nakasendo Road—between modern-day Tokyo and Kyoto—could be monitored. 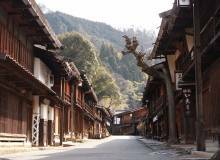 With mountains to one side and a river to the other, Kiso Fukushima played a crucial role, both politically and economically at that time. Travelers had no option but to pass through the gate, and stories were abound of attempts to counterfeit ancient “passports” to avoid forced marriage or capture. A museum featuring artefacts from that time includes weaponry such as arrows. 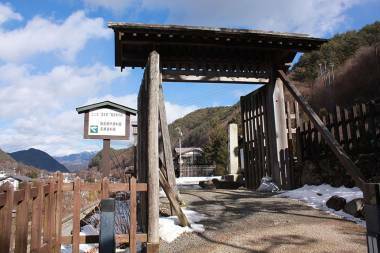 For both history and nature fans, Kiso has something to offer for exercising mind, body, and spirit. 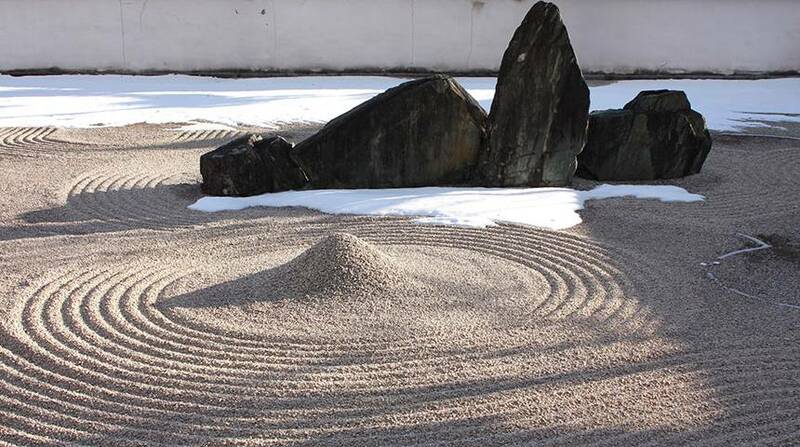 Some activities at Kozen-ji may not be available depending on the schedule. 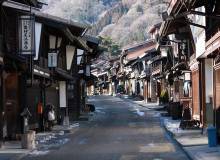 Please contact the Kiso Town Tourism Association for more information.